As a multidisciplinary practice, our services fall broadly into three categories, namely Architecture, Planning and Urban Design. In addition, West Waddy ADP specialise in a number of fields including heritage, arboricultural consultancy services including tree surveys and impact assessments, low energy design and university estates development. These are areas in which we have achieved particular efficiency and excellence. We are passionate about creating high quality designs that exceed client expectations. Working closely with our clients (and other stakeholders where appropriate) we assist in refining and developing the project brief. Then with flair and imagination we manipulate space and materials to create functional, economic and attractive design proposals that are practical to build. As pragmatic designers we never force pre-conceived ideas to ‘fit’ a client brief. Accordingly no two buildings designed by West Waddy ADP look the same. Instead we use our design skills to create buildings that are responsive to each unique set of circumstances. Thus, where the client brief, site setting and building function lead us towards a contemporary design solution this is what we will offer. Alternatively, a different set of circumstances might result in a more traditional design. Take a look at our ‘Projects’ to see the range of architecture recently undertaken by the practice. As a practice we regularly re-visit our buildings to check performance in use, something many architects fail to do. It is by looking to the future but with an eye on the past that we have developed our strengths as designers today. We are fluent in Building Information Modeling (BIM) software, a new information sharing method which when fully adopted by the industry will help improve communication between client and consultants as well as reduce construction waste. Planning is about making provision for the future, creating sustainable environments in which to live, work and play. 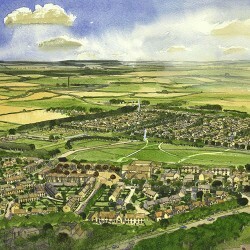 The planning system is becoming increasingly complex and is often criticised for being slow and bureaucratic. We will cut through the red tape and jargon whether it is a modest project or a large-scale development. We will prepare, submit and champion your case. Using our experience and insight, we research site history, analyse planning policy and liaise with other specialists to realise the maximum potential of each site. 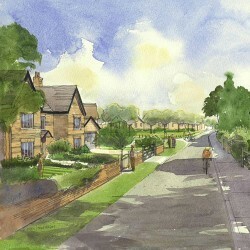 We regularly act for clients seeking to identify potential future development sites. We review site opportunities within specific geographic areas or local authority districts, identifying land that might come forward for development in the medium or longer term. Our strength lies in being able to assess the planning constraints and opportunities, making informed and clear feedback and being pro-active in both research and communication. We advise both developers and community groups (including parishes) on the complex issues associated with the production of new spatial planning policy documents by local planning authorities. We can advocate in support of well conceived development or against inappropriate proposals. Thorough preparation is the key to a successful planning outcome. We seek to design out potential issues of concern and accompany each application with robust supporting documentation. The results can be measured by our exceptional success rate. We provide clients with an independent and realistic assessment of the chances of success at appeal. Our success rate is consistently higher than the national average due to the methods we adopt in presenting evidence at appeal. The economic, social and environmental benefits trees add to both the rural and urban environment are well documented. When given appropriate consideration, trees can add value to new development that maximises the multi-functional benefits of trees through a harmonious relationship. When failing to adequately consider trees the opportunities to capture their benefits are often missed, resulting in the negative perception of trees and their retention being viewed as a barrier to development. Section 197 of the Town and Country Planning Act 1990 places a duty on Local Authorities to include appropriate provisions for the preservation and planting of trees when granting planning permission. Planning for trees is an important part of the development process, with many local authorities requiring arboricultural information to accompany planning applications or be submitted as part of a condition of planning. BS.5837:2012 is the industry standard that sets out recommendations and guidance for trees in relation to design, demolition and construction. It provides a detailed and defendable process for the integration of trees within new development. WWADP now offer a full range of arboricultural consultancy services relating to all aspects of trees, development and the planning process. We can provide expert advice on arboricultural issues to successfully guide proposals to achieve desired outcomes where trees are successfully planned for to make a positive contribution to new development. Our purpose is place-making through design. For many years West Waddy ADP have been developing masterplans for applications ranging from University Campuses to mixed use and residential developments. As Urban Designers we are responsible for the arrangement, appearance and experience of our built environment, we shape and control the threshold between the public and the private realm. Drawing a distinction between Urban Planners and Urban Designers, we scrutinise designs at a every scale; focusing on the journey as a three-dimensional experience. The Urban Design team is well versed in working with areas, density and ratios, but our real objective is to create space positive environments that take a lead from their context and landscape and that create a real sense of place. As the scale of the work we are involved at continues to increase, so does our commitment to this cause. 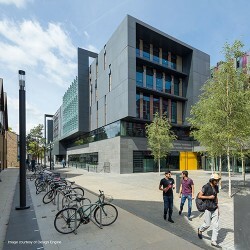 West Waddy ADP were finalists in the 2015 RTPI National Planning Excellence awards, for the delivery of Headington Campus, Oxford Brookes University. 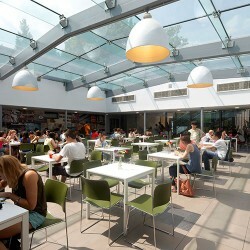 We take pride in that the scheme was the only university project to be nominated in the public realm category. We are well practiced in developing strategic masterplans for universities, having demonstrated very successful outcomes for the 3 primary campuses at Oxford Brookes. The masterplan which we developed for Ruskin College, Oxford, was adopted by the council as a Supplementary Planning Document and paved the way for 12 successful planning applications made in the following 5 years. 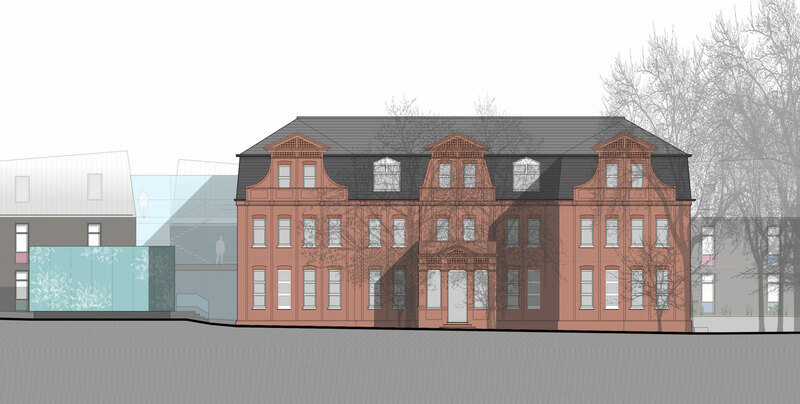 Looking ahead, the practice is involved in a significant project for the University of Gloucestershire where as lead consultant, we are overseeing the relocation of the Business School, creation of new student accommodation and the improvement of sports facilities. 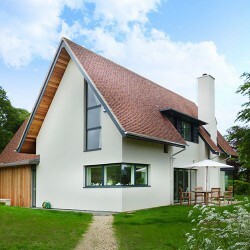 Our ultra low energy design offer is championed by associate Robert A’Bear who is an accredited Passivhaus designer. In order to minimise energy consumption a ‘fabric first’ approach is adopted in our design work. In addition to low energy bills the resulting buildings also enjoy a high level of thermal comfort. In order to assess the quality of our projects and to compare our designs with ‘as built’ performance we invite post occupancy feedback from our clients on the comfort and energy consumption of the building. As an example of the low running costs achievable with ‘fabric first’ design a 2000 sqft new build four bedroom detached house completed by the Practice in 2013 has a reported total annual energy bill of just £460 or £38 per month! We are as committed to improving the energy performance of existing buildings as we are to ultra low energy design of new builds, particularly in the heritage sector. 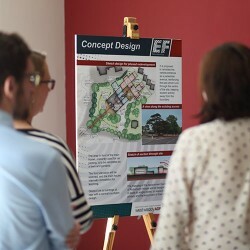 We also periodically run a ‘A Toolkit for Sustainable Design’ seminar which is aimed at educating home owners on how to make considered and cost effective improvements to their properties. Where there are heritage and conservation issues associated with making energy improvements, West Waddy ADP have a proven record in gaining the necessary statutory consents and carefully managing the works to ensure the highest quality at all stages of the process. 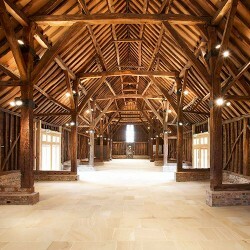 Our heritage assets are unique to the UK and conserving the best requires specialist skill and expertise. We have architects and planners trained and experienced in understanding the cultural and historic significance of these special assets. From Conservation Area assessments to the restoration of Grade I and Grade II listed buildings, historic garden reinstatement or consolidation and repair of Scheduled Ancient Monuments we can assist clients in conserving whilst also finding new, viable and sustainable uses for buildings and sites which will ensure their preservation for generations to come. To fully appreciate the importance of any historic asset it is first necessary to research its past. How a building or site has developed over the years is key to understanding how it might develop in future. Our historic environment is man made and reflects the ethos and culture of those who first built it and the subsequent generations who altered it. We rarely believe it appropriate to preserve untouched the historic environment for to do so risks obsolescence. Instead we search for appropriate, sympathetic uses that preserve and enhance. The safety of construction has become a very serious business. We aim to design and have our buildings constructed with safety in mind, not only during the construction process, but throughout the life of the building. The Construction (Design and Management) Regulations place specific legal obligations onto clients who commission building work to ensure the safety of those who both construct as well as use the built environment. 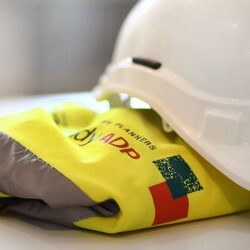 West Waddy ADP acts as CDM Co-ordinator under the legislation. We have a number of qualified staff with experience of the CDM Regulations who can guide clients through the maze of health and safety issues associated with construction. We also offer this service to other designers, consultants and contractors carrying out projects independently of the practice. When we finish your project you will receive a manual explaining the systems, methods and materials of construction with ‘as built’ drawings to be used as a resource for future generations engaged upon repair or alterations works. Safety begins the moment you are contemplating any form of building project – that is the law. Contact our team to assist you in meeting your obligations under the Regulations. Public consultation is a regulatory process that allows the voice of the public to be heard on matters that affect them. Its main goals are in improving the efficiency, transparency and public involvement in developments, laws and policies, as well as improving decision-making. West Waddy ADP is a full and active member of the Consultation Institute and follows the Institute’s Charter of Best Practice Principles in all consultation undertaken. We have a wide range of experience in co-ordinating public consultation exercises to support the preparation of Masterplans, planning applications and the promotion of land through Local Development Frameworks. These consultation exercises have been undertaken on behalf of landowners, Local Authorities and Parish Councils. West Waddy ADP consult with residents, businesses, key stakeholders, and other interested parties at an early stage in a project, to inform each group on emerging plans and proposals and gather information to identify any potential conflicts that need resolving through the design process. For the purposes of planning applications and design proposals, West Waddy occasionally run public consultation events that allow members of the public and other third parties to submit comments to West Waddy. Principally this information is collected for the development of a document known as a Statement of Community Involvement (SCI) that is required as part of Major Planning Applications. Information placed into a spreadsheet that is read and redacted (through editing) before forming an appendices of the SCI that is submitted as part of the application. Names, addresses and other personal information are sought to be removed prior to publication of the report into the Public Domain and are not issued to any other third parties. Creating the built environment involves more than just architects and planners working together. 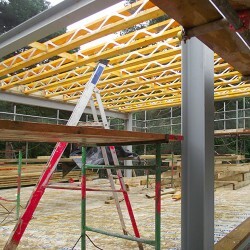 For most projects there will be a team of specialists engaged to maximise the potential of each building or site. Whether engineers, quantity surveyors, landscape architects or environmental consultants we lead the full development team, co-ordinating the work of others to ensure projects are delivered to a successful conclusion, on time and on budget. The complexity of the planning system often requires our town planners to act as project managers in commissioning and collating specialist reports and investigations prior to applying for planning permission. As much of our work is traditionally procured we also retain our involvement in delivering projects right through the construction stage. Partners and staff have long experience in most of the JCT standard forms of building contract and are experienced at steering complex developments to completion. Our site inspection services ensure clients get what they have contracted to pay for and at the right quality. Then we bring our construction knowledge back to the design studio to inform future design work.